guaranteed to be strong and not fade. Our prices low because we buy direct form manufactures. 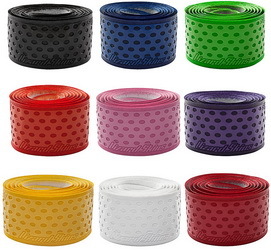 Now you can match the color of our laces to the color of your team jerseys and build team sprit and unity. Athletic Round 3/16" Shoelaces. The Round Shoe Lace is one of our most popular styles. These shoelaces are available in a variety of popular colors and 54 inches in length . It can be worn in almost any type of shoe. The Round Dual Tone Shoe Lace has the same construction as the solid Round Lace, but with a secondary color woven in for accent. The Dual Tone is woven in and not chemically dyed giving each combination precise colors that last a long time and will not fade. Athletic Flat 5/16" Shoelaces The Athletic Flat Shoe Lace is a basic slim and flat lace and is compatible with athletic and casual shoes. The Athletic Flat Shoe Lace is available in a variety of popular colors and comes in 54 inches in length. How to Keep Shoelaces Tied! One reason shoelaces come untied is caused by worn and stretched shoelaces. With normal use, the location of the shoelaces knot (bow) wears and stretches the fibers of the shoelace. These worn and stretched shoelaces will come untied more easily than shoelaces that are not worn and stretched. For this reason most of our shoelaces are sold as a two pair pack. This provides you with new laces when the first pair becomes too worn from normal use and will not stay tied. This handy Deluxe Pine Tar Pro makes it easy to apply Pine Tar liquid to any bat with ease, and without the mess. It also comes with its own attached carrying case for the bottle of Pine Tar and a clip so that it can be attached to almost anything.